Metal is by far the strongest and most versatile materials available for packaging. They are infinitely recyclable and offer a combination of excellent physical protection and barrier properties. They’re impervious to oxygen, carbon dioxide, and other gases, and liquids such as water. This results in superior shelf-life and preservation of the products packed in them. It’s no wonder that historically the first metal packaging developed for food and beverage was intended for the tough requirements of military use. TODAY METAL IS THE MATERIAL OF CHOICE FOR MANY BEVERAGE AND FOOD PRODUCTS. 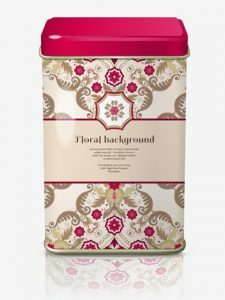 Metal Packaging sets itself apart from all other types of packaging due to its strength, ability to extended shelf-life, and recyclability. And just as important, it allows brand owners of beverage, food, and innumerable consumer products to set their product apart. The science of metal decorating provides a “portable billboard” that is displayed on the grocer’s shelf and at the point of consumption, be it a sporting event, a recreation activity, or just relaxing at home. The performance characteristics and recycling benefits of metal packaging convey a message of quality and concern. There’s no better way to package a product. 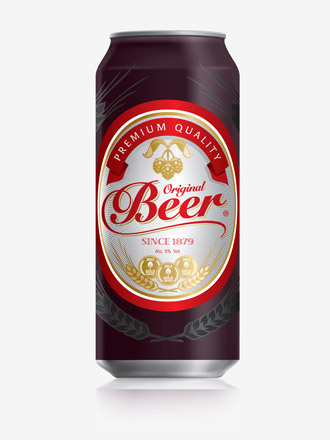 Metal packaging comes in a wide range of sizes. From a small tomato can to a steel drum for bulk tomato transport and everything in between. Metal packaging comes in a wide range of shapes. Shaping transforms cans into designer products, creating unique and individual highlights. 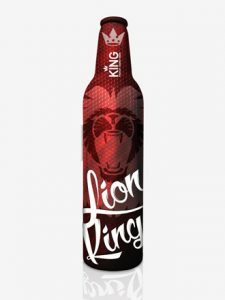 Metal packaging comes in a wide range of designs. Through embossing and high-quality printing, cans deliver outstanding shelf presence for consumers. Think about it: Metal containers are made from the same durable materials as automobiles and aircraft! And that’s reflected in the performance of the metal container. It endures high temperatures, allowing food to be processed for safety and extended shelf-life. It can be chilled at temperatures approaching freezing to provide refreshment and satisfaction. It is impermeable to oxygen or carbon dioxide to preserve the freshness of packaged products. Its durability and strength enable shipping over long distances without worry concerning leaking or damage. And consider that aluminum cans weigh less than many plastic containers and most glass containers. This means shipping aluminum containers is much more economical than shipping glass or even plastic. Aluminum and steel used for packaging can be recycled and used again for packaging infinitely. That’s a lot! Infinitely more than plastic. Infinitely more than paper. And glass, well clear glass may be comparable, but if the glass is green or brown or blue, it can’t be mixed in the container recycling stream and re-used. Because it can be used over and over again as another container or package, the rate of recycling for metal packaging is the leading recycled packaging material in most countries throughout the world. Metal cans provide a complete barrier to light, gas, liquid, and light permeation. They are the most durable package available – they’re unbreakable. They endure a wide temperature range, withstanding high and low temperatures. Enables high temperature processing for preserving freshness and protection. Products packaged inside metal containers have shelf-lives of several years. The metal container is the package of value. 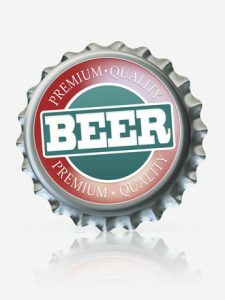 When considering its many features and benefits, nothing else comes close to providing the value and economy of metal packaging.